Chic, versatile and useful, statement chairs are the epitome of style with purpose. A well-placed statement chair (or pair!) in any room can add a luxurious finishing touch or even serve as the focal point. Read on to uncover the magic of statement chairs and learn how they can bring your home to life. Why do we love statement chairs? Let us count the reasons. 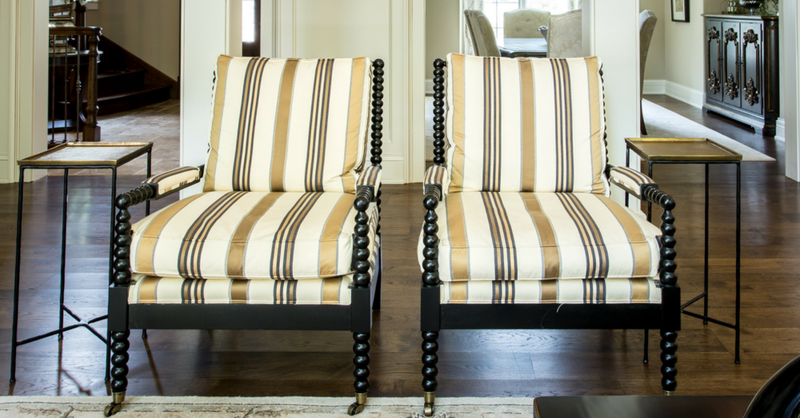 Chairs are a great way to bring a jolt of color, pattern, texture and detail to your room. A regal armchair or elegant stool commands attention and can easily invigorate uninspired corners. If you’re looking to make a splash, quality reupholstering and vibrant fabrics can transform chairs into the perfect centerpiece of any room. And with the right details, like color, style and finish, a statement chair can anchor your room’s style and create a cohesive look you keep falling in love with. The possibilities are endless when it comes to placing statement chairs around your home. 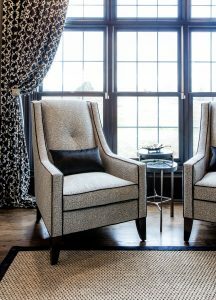 In the living room, a statement chair can be part of your seating arrangement, or serve a decorative purpose, holding books and other accessories. A wingback chair with a beautifully curved back is a staple of bedroom reading nooks, while a pair of pastel colored armchairs can enliven any home office. We love how a stylishly tufted ottoman can complement a mirrored vanity and add a sumptuous touch to a master bathroom. If you’re new to statement chairs, or you want to be more confident in your purchase decision, know that having a strategy before you shop is the best approach. Consider the chair’s purpose—whether decorative or functional—and think about how size, color and shape factors into the room you’re furnishing. If you want the chair to be front and center, consider planning a monochromatic room around them so they can shine against a neutral backdrop. If you’re looking for something more versatile, think about your home’s overall aesthetic, and search for a chair that upholds those principles. 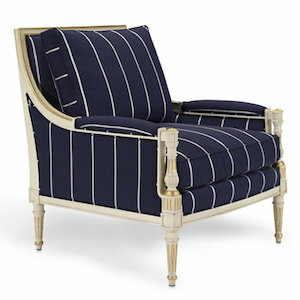 While we love all types of furniture equally, there’s a soft spot in our hearts for chairs that captivate. Our store is home to some of the most fabulous furnishings in Geneva and the greater Illinois area. Come visit and see all your options before you take the plunge and purchase.